Based in the land of great microbrews and towering Douglas firs, Wipf and Stock Publishers is a creative team, an adventurous bunch who arrive to work with mud still on our shoes from the weekend ride or hike. 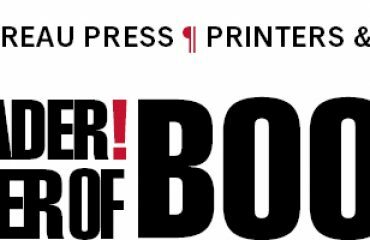 Our staff handles every step of publication in-house, from customer service to editing and typesetting, from printing and binding to shipping. Committed to writing that honors the imagination, intellect, and heart, we have a simple yet provocative model: with a list as diverse as our Northwest landscape, we publish based on the merits of content rather than marketability. Without agenda, we are shamelessly unapologetic about what we like: relationships, good beer, fine books, and enough coffee to keep us moving. We believe in voice and breadth. From biblical studies to classic theology, poetry to history, our authors are experts, scholars, and artists. By combining innovative technology with academic excellence we are able to produce affordable books of enduring value. Our books never go out of print, and building lasting partnerships is always our focus. In the 90s John Wipf of Archives Bookshop in Pasadena and Jon Stock of Windows Booksellers in Eugene noticed new, troubling trajectories in the academic book business: an increase in price and the rate at which academic books were going out of print. 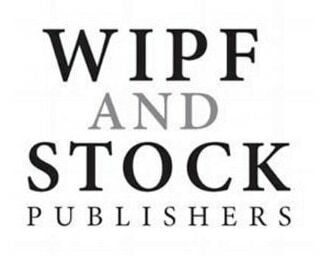 In 1995 Wipf and Stock Publishers was born as an answer to these problems and as a response to the demand for books otherwise unable to meet the stringent requirements of traditional publishers. With just a binder and cutter, the company began in a bedroom, moved to a garage, and is now located in an old Edsel dealership in the heart of downtown Eugene, Oregon. Over the course of working closely with authors and professors to provide custom reprints, Wipf and Stock began to receive requests to publish new content. Since 2000, we’ve done just that, publishing over five hundred new publications a year under our six imprints: Cascade Books, Pickwick Publications, Wipf & Stock, and Resource Publications, and our two newest divisions, Slant and Front Porch Republic Books.